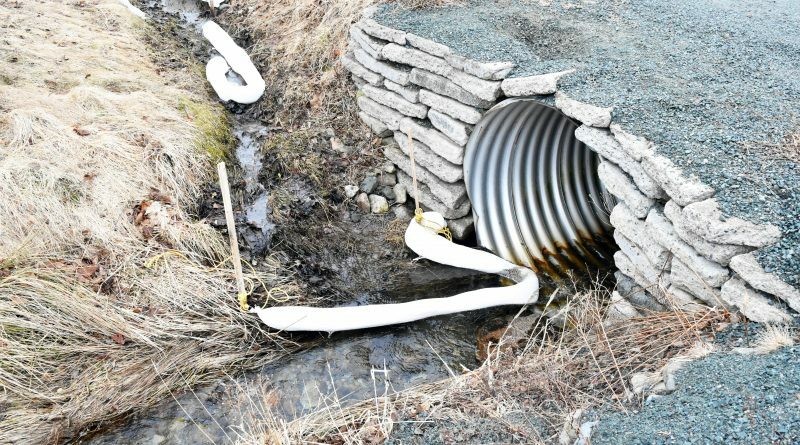 Oil that spilled into a stream in Conception Bay South was the cause of some commotion in the community this past weekend. On Friday, it was discovered that a sizable amount of oil had leaked into Monument Road River in Topsail. The origins of the leak were traced back to equipment attached to a scrap oil truck owned by N&G Enterprises on Michelin Place off Spruce Hill Road, which is the property of Neil Stafford, a local mechanic and businessman. Neither Stafford, nor officials with the provincial Environment Department responded to interview requests. Service NL initially estimated the amount of oil discharged onto the property and eventually into a brook that connects to the Monument Road River to be in the range of 300 to 400 litres. On Tuesday, however, it was stated by Service NL that the numbers were, in fact, lower than originally thought, estimated now to be in the ballpark of 75 litres. The spill, which was still being monitored by environment consultants on Tuesday, resulted in the killing of some trout and a lingering strong smell of oil along Monument Road. An environmental clean-up crew that Stafford was ordered to hire by the province, placed absorbent socks in several places along the stream and a boom consisting of absorbent material and bales of hay at the bottom of the river where it meets Conception Bay. The spill also made for a topic of discussion at Tuesday’s public council meeting where members spoke to the unfortunate circumstances that caused the pollution, what they can do in the future if such an accident were to take place again, and how the town’s policies and regulations played out. “In the town, we have a process in place, and I think that worked extremely well on Friday afternoon,” Mayor Terry French said, noting the process will likely be reviewed and tweaked in the near future to see how the Town can improve its response to oil spills and the like. In Newfoundland and Labrador, the persons responsible for a spill or leak are also responsible for contacting the appropriate authorities, as well as for remediation of any areas affected by the spill. 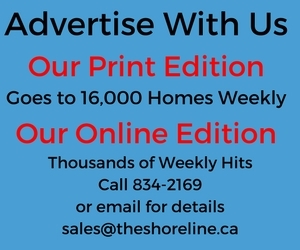 Ward 1 councillor Darrin Bent, who represents the area, told The Shoreline the spill is a major concern to him, not only as a councillor, but as a resident.